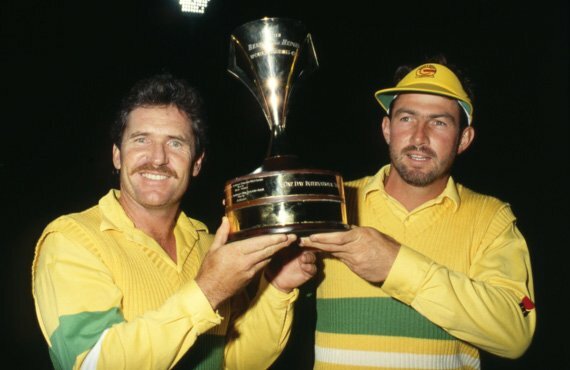 Benson and Hedges World Series Cup | The International Cricket Hall of Fame. World Series Cricket had arrived. Night cricket, helmets, coloured clothing and catchy jingles had transformed the game of cricket and introduced a whole new audience to the game through unprecedented prime-time coverage. And while the Supertests produced cricket at the highest level, it was in the one-day format that WSC had revolutionised the game to the greatest extent and won over new fans. While the game had flourished for the viewers, both sides of the divide were haemorrhaging cash flow and the game needed to re-unite. A truce in 1979 saw a staged re-unification of the game for the players and resulted in the awarding of exclusive television and marketing rights to Mr. Packer. On the field, the one-day game now returned to the Establishment’s fold on traditional cricket grounds. The 1979-80 season saw the WSC players selected alongside non-WSC team-mates and, under the sponsorship of Benson and Hedges, the ‘World Series Cup’ was born. A one-day series played amongst three nations and culminating in a final series, the format was very similar to the former WSC “International Cup”. The wheel had turned full circle and the revolution of World Series Cricket was now integrated into the great game under a single banner once more.